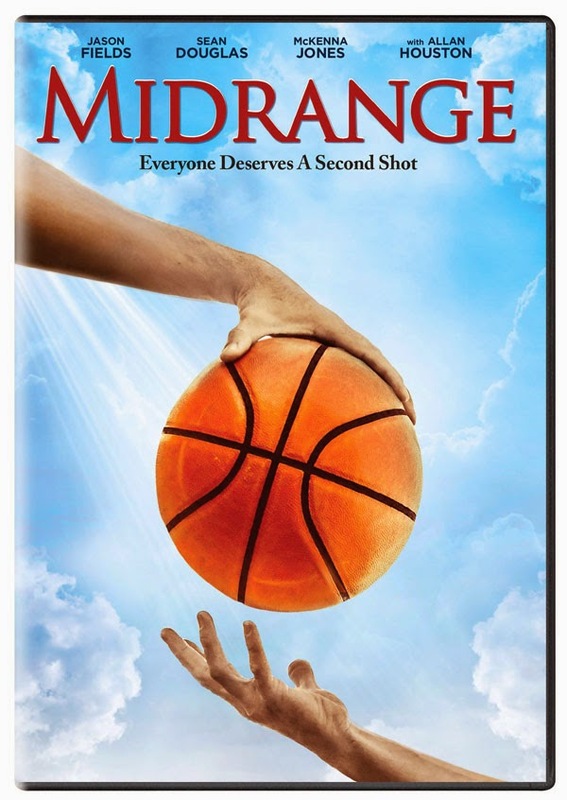 Everyone deserves a second shot in the inspiring drama Midrange, hitting the court on DVD and Digital Platforms June 10 from Cinedigm. Making his directorial debut, Jason Fields wrote and stars in this touching film that follows a superstar athlete’s journey to finding faith and accepting God into his life. The film, centered on the power of belief and the importance of second chances, has garnered the support of multiple former and current professional athletes with a strong Christian background including Corey Maggette, Allan Houston, Anthony Tolliver, Kelenna Azubuike, Jerome Williams, Austin Daye, Roger Powell Jr., Greivis Vasquez, Romel Beck, Wayne Simien and Andre Brown. Midrange is also supported by Fellowship of Christian Athletes (FCA.org) and will be screened in multiple churches across the country. Fields stars as Damon Sharp, a college basketball player destined for the pros. With his college career at an end, Damon returns to his hometown to find his brother Darrin (Sean Douglas, “Days Of Our Lives”) consumed with drugs and alcohol and his mother (Susan Grace, You Don’t Mess With The Zohan) depressed and helpless. Seeking a better life for his family and himself, Damon is forced to decide between saving his brother and following his dream – a choice that could risk everything. As Damon reexamines his choices, and his relationship with his brother, he turns to faith to find a new understanding of perseverance, loyalty and love. Thematically the film addresses a secular struggle of balancing faith, family and career, and ultimately the critical choices that define a man’s character and reveal what’s most important in life. Fresh off a stellar collegiate basketball career, aspiring professional basketball star, Damon Sharp, returns to his hometown in Chicago and quickly discovers former life and old bad habits abruptly challenge his new-found faith in God. Damon’s dreams of playing pro ball hang in the balance while he faces the circling demons of his past, which are being beckoned by his brother Darrin, who’s on a fast track to jail. Devastated by some news, temptation gets the better of Damon, weakness takes root and the downward spiraling ensues. An intimate portrait of the two brothers emerges when they are suddenly forced to re-examine their lives, loyalty, love and their own limitations. Ultimately, the choices they make reveal their true character when one of them takes a shot in life that will set the course for everyone’s life forever.